The Sea Gull Lighting De-Lovely four light vanity bar fixture in brushed nickel offers shadow-free lighting in your powder room, spa, or master bath room. For added star quality to your bath or dressing area, the De-Lovely bath and dressing room collection by Sea Gull Lighting brings the style of Hollywood to your home and provides generous illumination for getting ready! 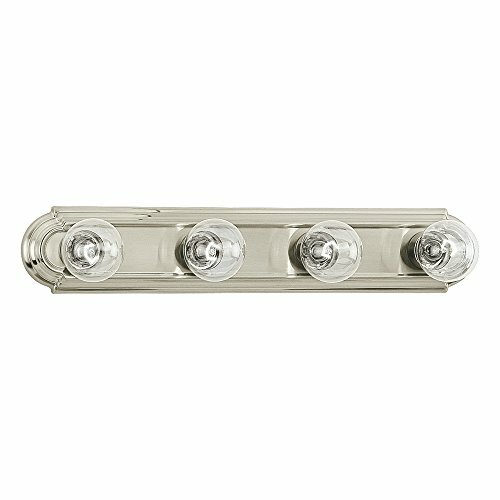 Offered in Chrome or Brushed Nickel finishes, the assortment includes four-light, six-light and eight-light vanity fixtures. Damp Rated.